In order to process ePayments in Jackrabbit, you must have a gateway and merchant provider with one of our ePayment Partners. There are no additional Jackrabbit fees required to process ePayments through your database, however, there are fees associated with gateway and merchant accounts. See Contact an ePayment Partner. What happens when you initiate a credit card ePayment in Jackrabbit? What happens when you initiate a bank account ePayment in Jackrabbit? 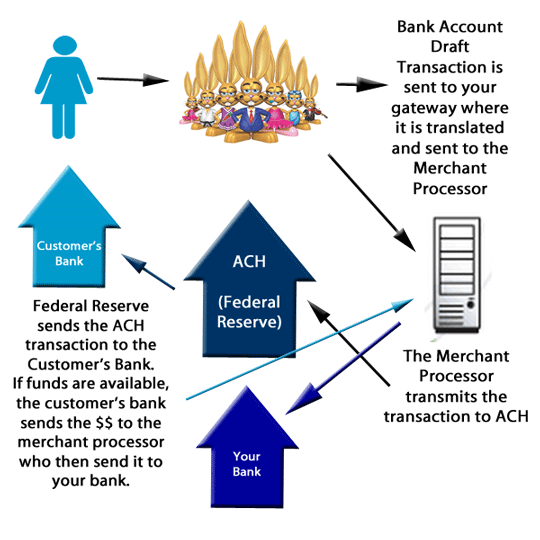 The process is similar to credit card ePayments but there are a few important differences. 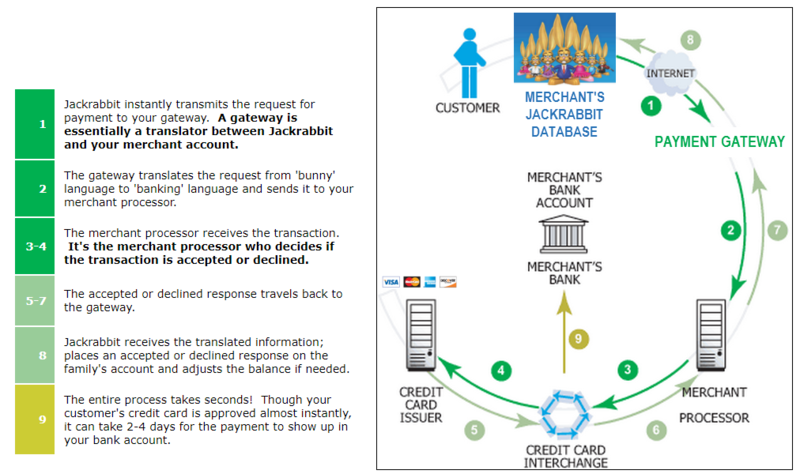 A bank account ePayment transmitted from Jackrabbit will initially appear as approved; however, in this instance, the approval is simply an indication that the transaction was received by the gateway. A bank account transaction can take on average 5-7 business days to settle (be approved or declined). You should monitor your gateway and bank accounts to ensure that a transaction did not ultimately decline. No notification is sent to Jackrabbit when a bank account draft ultimately declines, so you must manually adjust the family's transactions.